Preventing injury to children - can we do better? 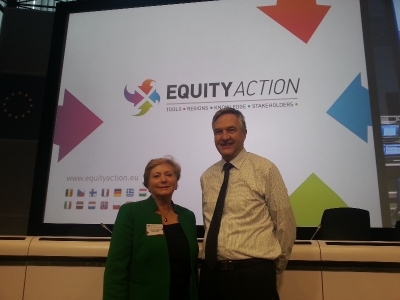 Equity Action is a Joint Action between EU Member States aiming to reduce health inequalities by helping to improve policies at national and regional level and harness the contribution of stakeholders. The Equity Action final conference took place on 23 January 2014. The conference was attended by nearly 500 delegates and a host of high level speakers including Professor Sir Michael Marmot and Minister for Children and Youth Affairs Frances Fitzgerald TD. The huge attendance at this conference was indicative of the central place the issue of health inequalities now occupies on the EU policy making agenda. 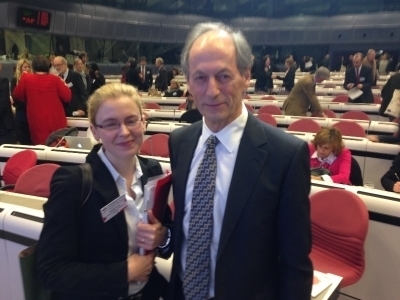 Dr NoÃ«lle Cotter from IPH drew attention to the recent IPH assessment of the health impact of sugar sweetened drinks. Dr Cotter also highlighted Irelandâ€™s focus on the importance of early intervention as emphasised in the Marmot Report. IPH presented to the Joint Oireachtas Committee on Health and Children on 6 February on the Public Health (Standardised Packaging of Tobacco) Bill 2013. The findings of the IPH/TFRI report on tobacco and childhood in late 2013 will be presented to the Tobacco Strategy Implementation Steering Group in Belfast on 30 April. Tobacco control workshops will be hosted in Belfast (5/6 June) and Dublin (9/10 June) to support the capacity of participants to address key challenges and debates in tobacco control policies. They will feature key national leaders and international speakers. For further information or to register your interest email elizabeth.mitchell@publichealth.ie (Please be aware places will be very limited). Unintentional injury is the leading cause of death for children aged 1 year and over and preventing such injury requires a coordinated approach from multiple agencies and stakeholders. In keeping with a coordinated approach to child injury prevention, IPH co-hosted a conference 'Preventing Injury to Children - Can we do better?' in January with the Department of Health, Department of Children and Youth Affairs, Health Service Executive, Poisons Information Centre of Ireland, and Irish Water Safety. 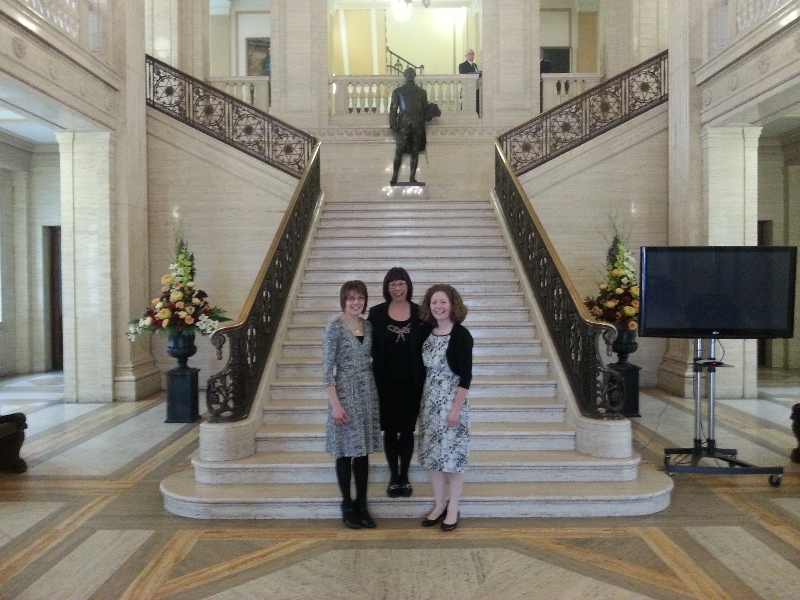 IPH presented evidence on health and wellbeing measures to reduce workplace sickness absence to the Northern Ireland Assembly Committee for Finance and Personnel on 26 March. The presentation highlighted that systematic, coordinated and comprehensive approaches, which include employee involvement, are essential for promoting health and wellbeing within the workplace. Areas for action discussed included active travel, healthy eating and programmes to improve mental health and wellbeing in the workplace. A briefing paper developed by the Group on addressing alcohol availability will be presented to the North South Ministerial Council on 30 April 2014. A number of indicators have been updated on the Community Profiles Tools to include more data from Census 2011. These include quality of drinking water and quantity of household waste. Mortality data for 2012 for the Republic of Ireland has also been updated and includes age-specific and age-standardised rates. IPH were pleased to recently introduce 70 Graduate Entry Medical students and staff from the University of Limerick to the Health Well website and its tools. We have created a very short feedback questionnaire and would be delighted if you could take this opportunity to let us know what you think. Professor Kevin Balanda made a presentation entitled 'Some personal reflections on trans-disciplinary research for better population health & wellbeing' at the Irish Research Councils Horizon 2020 â€˜Creative Connectionsâ€™ workshop held on the 11 February 2014. He argued that comprehensive systems-wide solutions are needed to meet complex public health challenges and that these can only be supported by research that genuinely brings together the contributions of many disciplines and perspectives. The third Public Health Scientific Conference will focus on how public health innovations, research and practice are meeting the needs of minority groups. The conference will be hosted by the Public Health Agency and other partners. Following the second successful IPH Open Conference in October 2013 we are delighted to announce this year's conference will take place in Titanic Belfast. Further information will follow at a later date. In the meantime revisit some of the presentations from the 2013 event. Copyright Â© 2014 Institute of Public Health in Ireland, All rights reserved. You received this email as you are part of the IPH contacts database. Copyright Â© 2014 Institute of Public Health in Ireland.